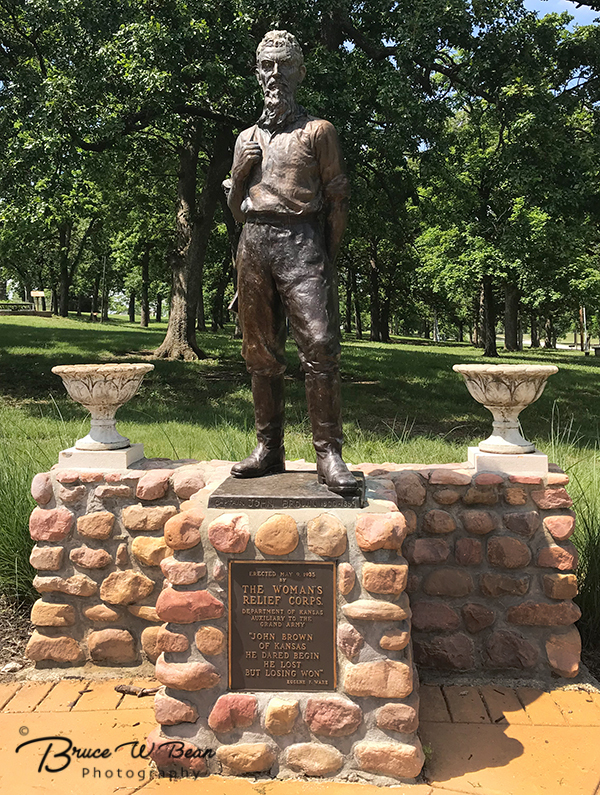 John Brown in Osawatomie – John Brown (1800-1859) was a well known abolitionist during the Civil War. But were you aware of his roots in Kansas – actually “The Kansas Territory” at the time? John Brown’s home and base of operations in 1856 were in Osawatomie, Kansas. 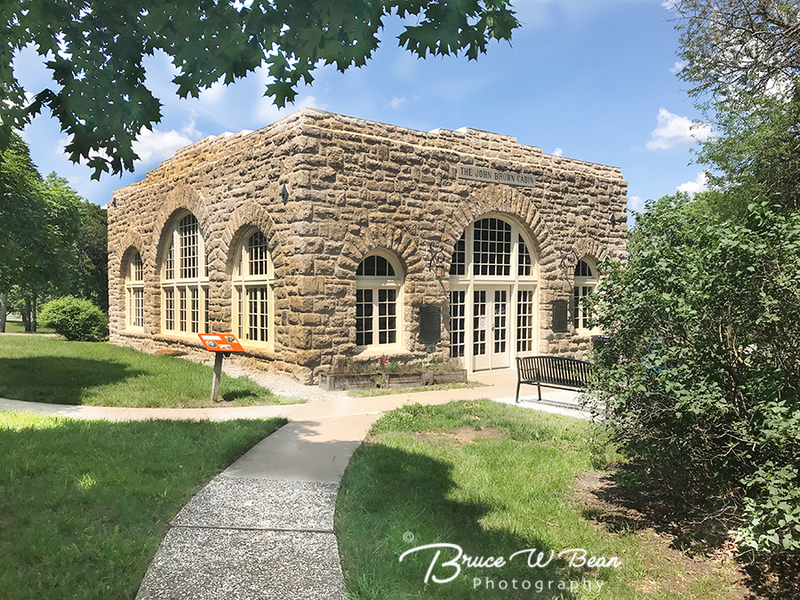 Osawatomie is a short 45 minute drive southwest of Kansas City. It’s an interesting town with lots of history. 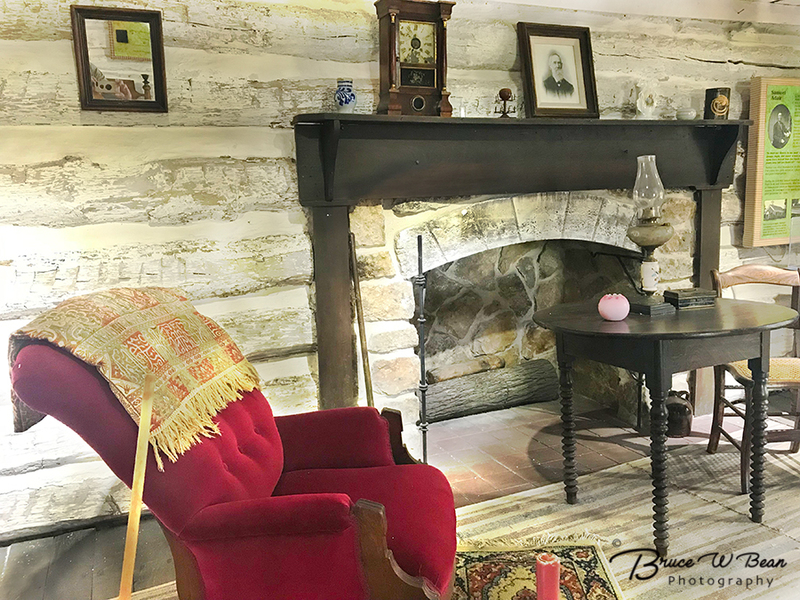 You can visit Osawatomie and John Brown’s Home as a short outing from Kansas City or combine it with several other Civil War locations south of Kansas City for a full Civil War Day trip as outlined in a previous article – Kansas City Civil War Day Trip. 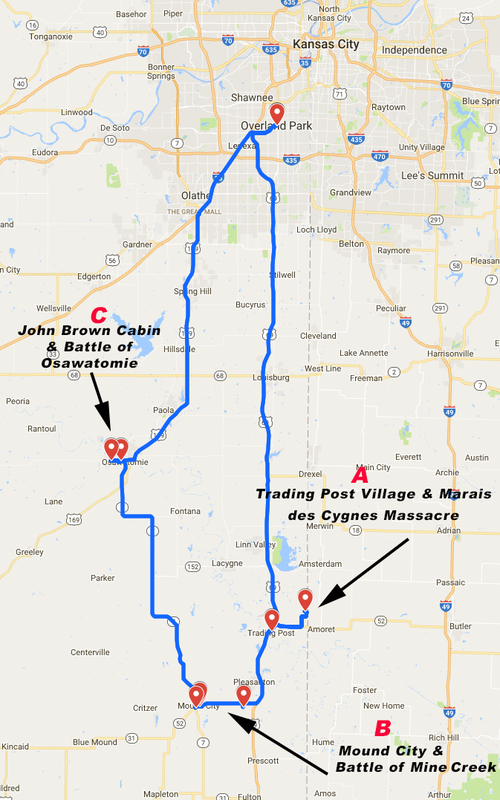 Information about specific stops on the day trip is shared in several articles including: Trading Post Village & The Marais Des Cygnes Massacre, Battle of Mine Creek – Kansas City Civil War Day Trip, and Kansas City Civil Way Day Trip – Mound City Lunch Break. Travelers taking the full Civil War Day Trip from Kansas City will depart northward from Mound City. 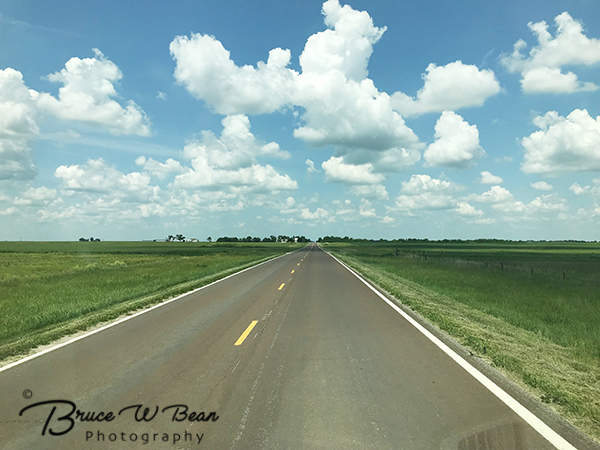 It’s a pleasant thirty minute drive along Kansas Highway 7 to Osawatomie, crossing Kansas prarie land and classic Kansas farmland. John Brown was born in Connecticut and lived in the East until 1855 when he moved westward to The Kansas Territory where his sons lived to assist them with their resistance to pro-slavery forces in the area. Kansas at the time was a hot bed of disagreement and conflict and anti- slavery and pro-slavery advocates took escalating actions in an attempt to bring Kansas into the Union as a “Free State” or “Slave State.” This period, roughly from 1854 until 1860, was known as “Bleeding Kansas.” John Brown moved to the Kansas Territory at this time as an anti-slavery / abolitionist activist who believed the only way to bring an end to slavery was with the use of armed military action. In 1855 John Brown and five of his sons resided near Osawatomie, Kansas. John Brown’s half sister, Florella Adair and her husband, Reverend Samuel Adair, lived nearby. 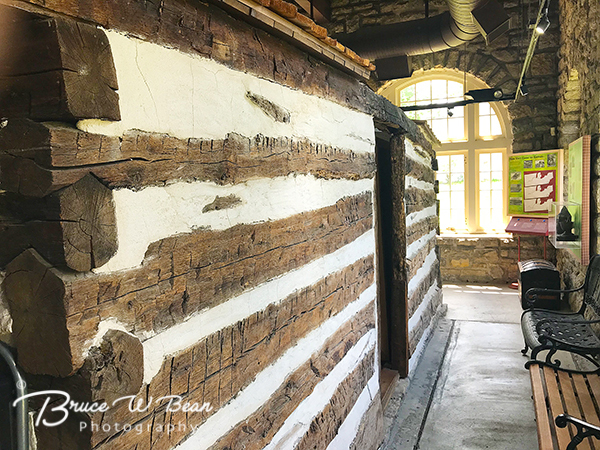 The Adair’s cabin had served as a stop on the underground railroad, assisting slaves in their escape to freedom in the north. John Brown used the Adair cabin as headquarters as he and the Adairs worked together together planning and organizing their abolitionist activities. The Adair Cabin was moved several miles into the City of Osawatomie around 1928 and a protective stone pavilion was construction around it. The building is now The John Brown Museum and is located in John Brown Memorial Park, where travelers can visit the cabin. 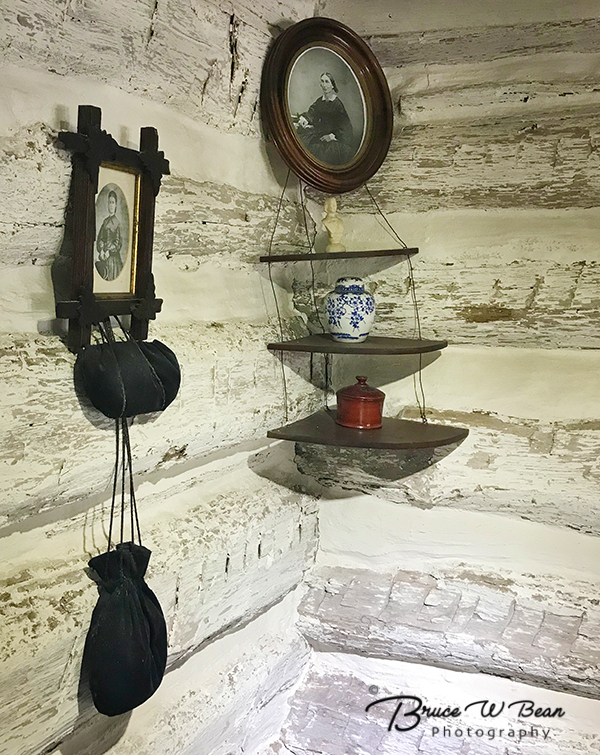 The cabin is decorated and maintained with period furnishings and houses a variety of items and displays related to events in the area during the 1850’s. In August of 1856 a band of around 300 pro-slavery Missourians crossed the border, entering Kansas intent on destroying the Free State settlements in the area. They attacked Osawatomie on August 30, 1856. John Brown, with a group of abolitionists numbering around 38, attempted to ward off the attack. Brown’s son, Fredrick was killed in the fighting. Brown’s group reportedly killed 20 attackers and wounded 40 more before they were forced to scatter and retreat into the surrounding countryside, after which the attackers looted and burned Osawatomie. 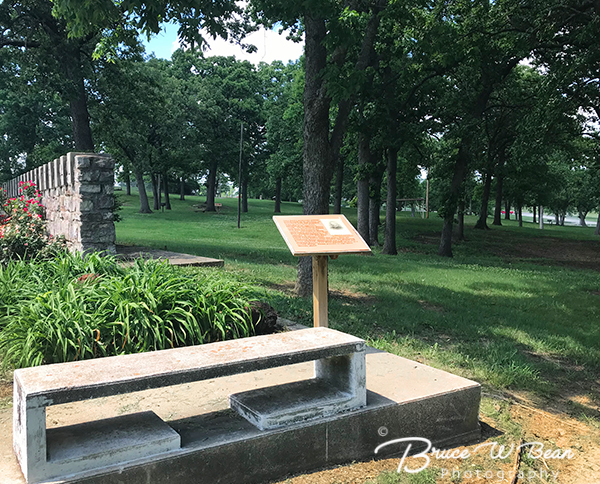 A central area of land where the Battle of Osawatomie took place is now a part of the John Brown Memorial Park. A statue of John Brown, shown in the photo at the top of this article, is a central feature of the park. Visitors can take a short walk along a trail which leads to 6 different battle locations, each with an historical marker, within the very small, compact area in which this skirmish took place. It’s an easy and interesting walk and the markers provide story details of the fighting which took place in Osawatomie. By November of 1856 Brown had returned to the East where he continued to seek political, financial and military support for his aggressive abolitionist plans. While much less successful than he had hoped, he eventually moved forward on his plan to take more direct military action against pro-slavery interests. In 1859 John Brown led a small band of abolitionists in an attack (October 16-18) on the Federal Arsenal located at Harper’s Ferry – now a part of West Virginia. The plan was to capture military weapons and to use this action as an initial stage of developing a safe “stronghold” for escaped slaves in the area. Brown’s raid was defeated. Brown was captured and on December 2, 1959 he was executed by the State of Virginia for treason. Although Brown’s Harper’s Ferry Raid was unsuccessful, it significantly fanned the flames of the escalating tensions and conflicting views of northern and southern regions regarding the issue of slavery. 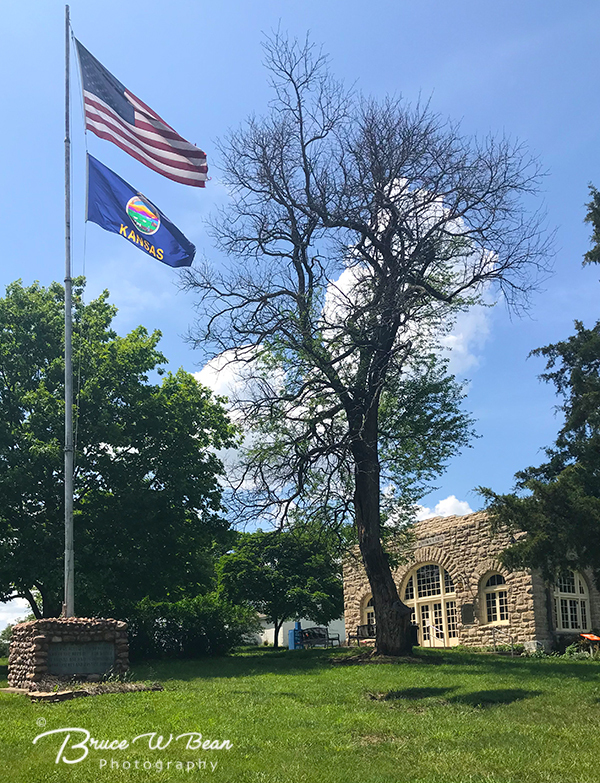 A visit to Osawatomie, Kansas is the final stop on Kansas City Civil War Day Trip. A quick 50 minute drive northward on US 169 takes you back to Kansas City in time to rest up, unwind and enjoy a nice dinner and evening in Kansas City. Take A Civil War Day Trip From Kansas City ….. And Enjoy The Adventure! This entry was posted in Day Trips, General Photography and Travel, KANSAS and tagged Civil War, John Brown, Kansas City, Osawatomie by Bruce W Bean, Ph.D. Bookmark the permalink.